A new gallery is opening in Ilkley. 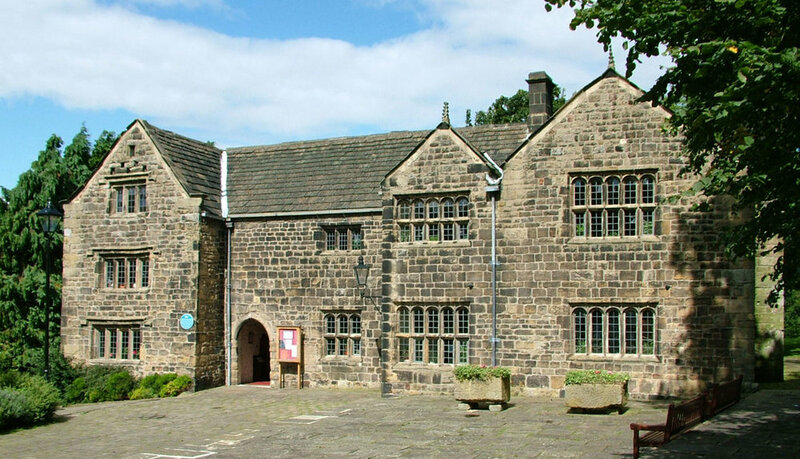 Called ‘The Solar Gallery’ , it is based on the first floor of Ilkley Manor House. A fascinating and beautiful structure built in the 17th century on the site of a Roman fort, it’s running was taken over recently by a trust and is now rapidly becoming a focus of the lively and highly talented cultural/visual arts scene in Ilkley. As part of this development the house’s solar has been turned into a gallery space.The first exhibition , which opens on March 30th. celebrates the two and three dimensional work of thirty members of the ‘ilkley Arts’ group and includes printmaking, painting, multi media work, ceramics and jewelry.For the moment the gallery is only open at the weekends from 10.00am. to 4.00pm. but the current exhibition will run until the 23rd of June. 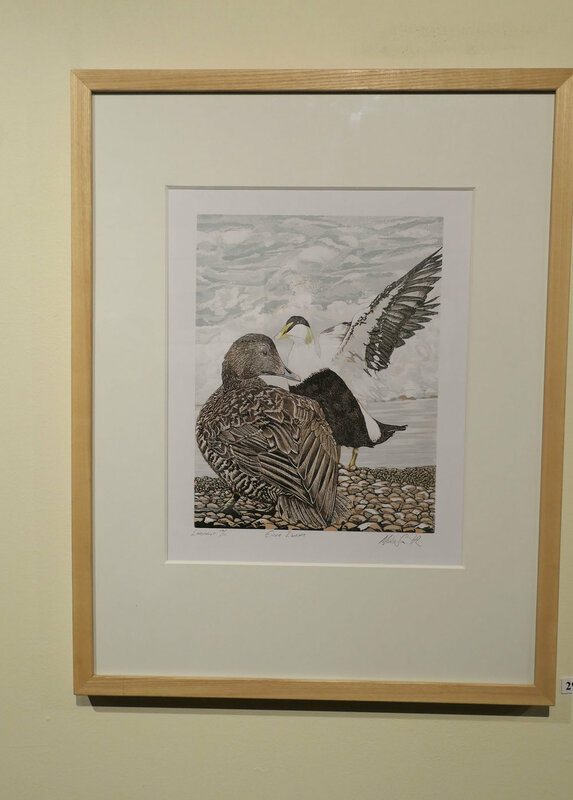 I’m lucky enough part of the exhibition, showing my recent 13 colour reduction print of Eider Ducks. If you’ve not visited the Manor House in recent years, do come along. I think you will be surprised and delighted by the work the trust has already undertaken and their plans for the future for this gem of a building! The Ilkley Arts Exhibition Opening Party. My entry for the exhibition.